The Third International Climate Change Adaptation Conference 2014 (Adaptation Futures 2014) will be the nexus between the research community and the users of climate change adaptation information at regional and global scale. It is co-hosted and convened by the Earth System Science Center of the National Institute for Space Studies (CCST-INPE) and the Global Programme of Research on Climate Change Vulnerability, Impacts and adaptation (PROVIA). The conference will focus on climate impacts and adaptation options. It will bring together scientists and decision makers, and practitioners from developed and developing countries to share research approaches, methods and results. It will explore the way forward in a world where impacts are increasingly observable and adaptation actions are increasingly required. The Adaptation Futures 2014 conference consists of two back-to-back events, the Third International Climate Change Adaptation Conference 2014 between May 12-15, and the International Workshop on High Level Drought Policies on Arid and Semiarid Lands on May 16. 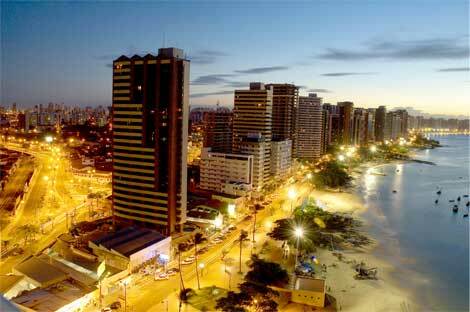 The conference will be held at the facilities of the Vila Gale Fortaleza Hotel, located on the seaside neighborhood of Praia do Futuro, in the City of Fortaleza, State of Ceará, Brazil. The Global Programme of Research on Climate Change Vulnerability, Impacts and Adaptation (PROVIA) is supporting international community of practice to share practical experiences and research findings by improving the availability and accessibility of knowledge to the people through this Conference. With this in mind, PROVIA would like to reach out to more people involved in VIA and provide a regular updates. So, if you are interested to know more about our work, please Click here to sign up for the PROVIA mailing list!